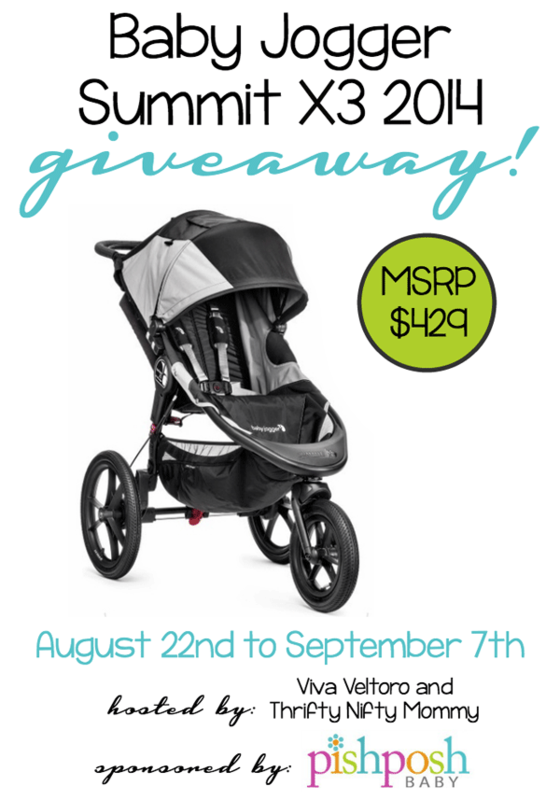 If you’re expecting or a new mom, the Baby Jogger Summit X3 is the perfect hybrid jogger/stroller to get you out and about with your new baby. This is also the perfect gift for that expectant mom! She will love you for it! Enter to win this amazing jogger below! This giveaway is hosted by Viva Veltoro & Thrifty Nifty Mommy, and generously sponsored by PishPoshBaby! PishPoshBaby is the #1 online baby shop for all of your needs as a parent or caregiver. They offer top of the line baby brands with top notch customer service to go along with it. Their goal is to give you clarity, confidence, and comfort when making important and significant purchases for your precious little one. Speaking of important purchasing decisions, strollers can be a big investment. With so many to choose from, it’s wonderful that PishPoshBaby has their team of “Mom Reps” available to guide you through the choices and give you feedback on which strollers might suit your needs best. Ruth from Viva Veltoro recently had the opportunity to review the Baby Jogger Summit X3 2014 from PishPoshBaby and she couldn’t be more pleased with this fabulous jogging stroller. Make sure you check out the full review to see all of the great features of this high-quality stroller! Go anywhere with this highly maneuverable hybrid jogger/stroller. With its all-wheel suspension, the Summit X3 provides exceptional performance on any terrain. A remote wheel lock on the handlebar allows you to easily shift between jogging and strolling. 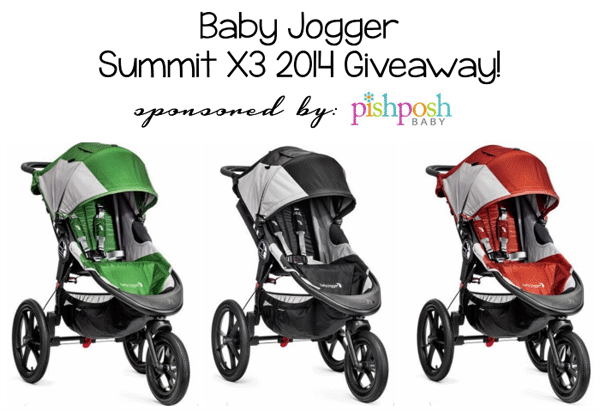 PishPoshbaby is going to give one lucky reader a Baby Jogger Summit X3 2014 in their choice of color (valued at $429)! Giveaway is open to residents of the United States, ages 18 and up. Giveaway ends on September 7, 2014 at 11:59 PM EST. Enter using the Giveaway Tools entry form below. Good luck! Disclosure: I did not receive any compensation for hosting this giveaway. Viva Veltoro, Thrifty Nifty Mommy, and the participating bloggers are not responsible for prize fulfillment. Please contact vivaveltoro(at)gmail.com with questions about this giveaway. I want the Maxi Cosi Pria 70 in Bohemian Blue. I got the blue one from my baby registry, but I love the colors on this one! I still have mine in the box so I’m seriously considering swappng it out. I love the look of the Boon Flair Pedestal High Chair. I would love the Britax Marathon G4 carseat. I’d love the Keekaroo high chair. It would look perfect in our dining room & would be cozy & easy to clean. I would love to have the Maxi Cosi Prezi Infant car seat. I like the Keekaroo Height Right Kids Chair Mahogany.